Read about my books, watch some of my films, learn about the plays I've had produced and read some of my articles by clicking on the links above. We finish work on Biff. Read more about the film here. I'm being interviewed and appearing on a panel at Thirroul Readers and Writers Festival on Sunday 27 August 2017. I returned to Junee Jail with Aunty Barbara Nicholson and Muk Muk Burke (with Lachie the Tarago-driving, cassette-playing SCWC intern) for another series of writing workshops with the inmates. Again, an awesome experience. 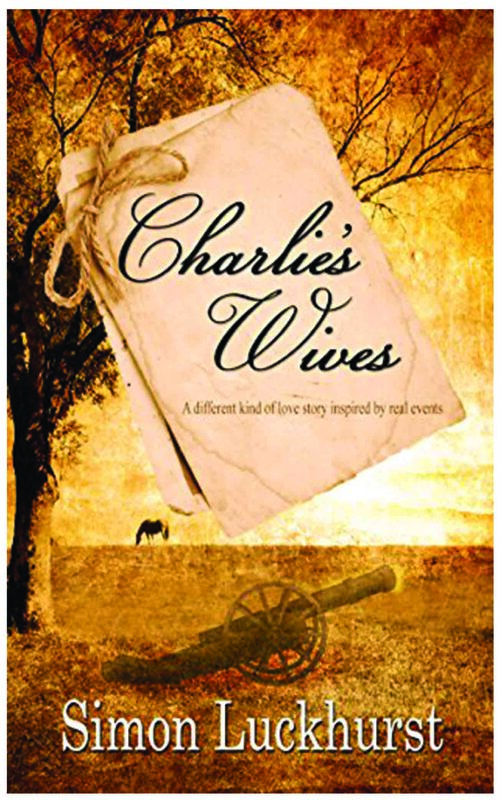 My new book Charlie's Wives is published by The Wild Rose Press. My radio documentary on working in the funeral industry is broadcast on ABC Radio National. My article on working in the funeral industry appears in The Australian newspaper. I speak at U3A in Thirroul discussing my work on Dreaming Inside, Eddie's Country and Sculptures in the Scrub. I return to Wee Waa on a field trip for the film of Eddie's Country with director Adrian Russell Wills and screenwriter Steven Sewell. 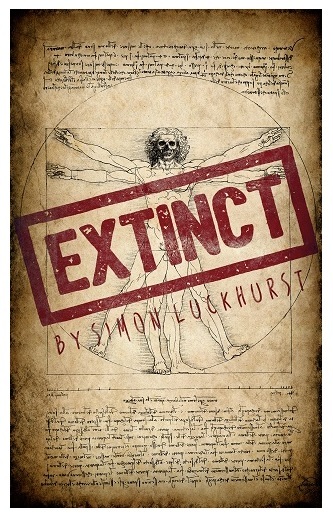 My new novel Extinct is published by Severed Press. I direct the audio of the animation of HPV and Me produced by HITnet and Deadly Vibe. Watch the animation here. I travel with Adrian Wills to Walgett, Collarenebri, Moree, Narrabri and Wee Waa to conduct research and interview people for the upcoming film of Eddie's Country. The book Unlock the Writer Within: A 'Go To' Guide to Successful Writing featuring my chapter 'Eleven Tips Towards Being a Sucessful Writer - And One Sure Guarantee of Failure' is published by the Fellowship of Australian Writers. ABC Radio National is to repeat the program I made on Wilma Reading on Thursday 26 December. I present a talk for Northern Illawarra U3A on my career as a writer in the Excelsior Hall at Thirroul Community Centre. 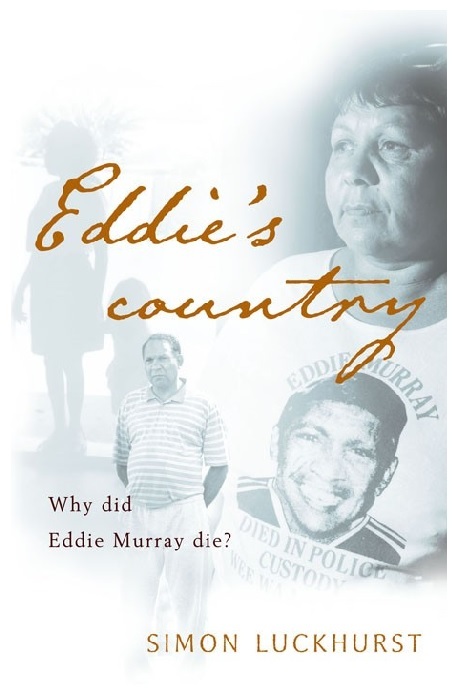 Adrian Russell Wills, who has worked on several episodes of the acclaimed Redfern Now, has optioned the film rights for Eddie's Country. A book of poetry by inmates from Junee Jail and including poems from tutors who worked on the Junee Jail project (Aunty Barbara Nicholson, John Muk Muk Burke, Bruce Pascoe and myself) is launched as part of the Sydney Writers' Festival. I chair a panel discussion: Cultural Dialogues – Writers on Writing in the Illawarra. Guest panelists are: Dr Merlinda Bobis (performer and novelist), Di Bates (children's book author) and Dr Christine Howe (young adult fiction) at Wollongong City Gallery as part of the Viva la Gong festival. I am interviewed by Chip Rolley, artistic director of the Sydney Writers' Festival on ABC Radio National. ABC Radio National webcasts all four episodes of Concerto for Humans and Semtex. I deliver a lecture on Writing for Radio and Digital Production to creative writing students at the University of Wollongong. I deliver a lecture on Writing the Life of My City to creative writing students at the University of Wollongong. I return to Baradine for the final part of the fifth Sculptures in the Scrub documentation project. My poem Shining City, (a history of Wollongong) commissioned for the 2011 Illawarra Business Awards (narrated by Peter Sumner with graphics created by Relativity Films) is made available for public viewing. I travel to Baradine and Coonabarabran to interview sculptor Pamela Denise about creating a fifth work for the Sculptures in the Scrub project. I conduct several journalism workshops for Warrawong High School students involved in creating a magazine for Port Kembla Youth Project. I conduct a Masterclass on Biography in Thirroul Library as part of 2012 Senior's Week. The promo I created for The Glamma Rays goes online. I returned to Thursday Island to rehearse, record and edit Kasa Por Yarn 2. I return to Thursday Island, Badu Island and the Northern Peninusla Area for more Kasa Por Yarn II workshops and auditions. The program I produced for Into the Music on the life of singer Wilma Reading is broadcast on ABC Radio National. I have completed my doctorate at UTS, specialising in Biography. I return to Thursday Island to hold workshops on a new series of Kasa Por Yarn radio plays. The program I produced for Into the Music on the life of American songwriter Jessie Mae Robinson is selected by the ABC as an entrant in the prestigious Prix Italia radio awards. Murder Road, to be directed by Keean Murrell Snape, goes into pre-production. The manuscript for my novel Papertrail is shortlisted for a Varuna Publishing Fellowship. My poem Bill and Bertha is commended in the international Margaret Reid poetry contest. A Lonely Business is co-winner of the Fellowship of Australian Writers NSW Inc Walter Stone Award. A Lonely Business, the biography of Pauline McLeod I have compiled and edited, is shortlisted in the Harper Collins/ Varuna Award. The winner is yet to be announced. I'm selected as a finalist to pitch at this year's Screen Producers Association of Australia (SPAA) conference on a project called Love Inc developed with Aaron Fa'aoso. The Condoman Facebook social networking campaign is about to launch. The manuscript for my novel The Walking Wounded is a co-winner the Byron Bay Writers' Festival LitLink Unpublished Manuscript Awards. My radio plays Kasa Por Yarn and Lines in the Sand are nominated for 2010 AWGIE Awards. Recharge is selected for screening at the Sambuddhathwa Jayanthi International Buddhist Film Festival in Colombo, Sri Lanka on 27 May. I return to Thursday Island for the launch of Kasa Por Yarn. It goes well. I travel to Cairns to direct the vocal characterisations for Condoman. I begin revising Nought But The Leg with Timothy Daly as my mentor, as part of the AWG mentorship scheme. We begin shooting The Invitation, a short film. The Australian Writers' Guild announces I am one of the recipients of its 2009 mentorship program for my play Nought But The Leg. Merrigong Theatre Company's production Four Plays About Wollongong opens, including my play, The War on the Hill. I return from Thursday Island after the succesful recording of Girlpren/ Boypren, now renamed Kasa Por Yarn. Lines in the Sand is broadcast on ABC Radio National, (repeated 05 November). Queensland Health announces the recording date for Girlpren:Boypren (working title) is 30 October. Back to Thursday! ABC Radio National announces the broadcast date for Lines in the Sand is 1 November. War on the Hill goes into the Merrigong rehearsal room at the Illawarra Performing Arts Centre. A brief interview with me appears The Weekender Magazine of The Illawarra Mercury. My article on the different ways you can now be addressed when entering a shop appears in the Sydney Morning Herald. My article on the ramifications of an Aboriginal death in custody appears in the current addition of The Koori Mail. I have begun editing Lines in the Sand at ABC Radio National. My article on plastic bags appears in the Heckler column of the Sydney Morning Herald. My play Concerto for Humans and Semtex has been nominated for an AWGIE award. Winners announced on 28 April 2009. I begin work on the Girlpren/ Boypren (working title) positive health message radio plays project for the Queensland Department of Health on Thursday Island. My play Concerto for Humans and Semtex has been selected by the ABC as one of its three entrants in this year's prestigious Prix Italia Awards for Radio. I begin work on the Sculptures in the Scrub Artist Interviews project for the NSW Department of Environment and Climate Change. Illawarra Performing Writers' Group has a reading of my new play, Nought But The Leg. My story on Peter Costello's influence on the English language (who knew?) is published in The Australian. Recharge screens at Short Sited 13. My story on Frending is published in the Sydney Morning Herald. Concerto for Humans and Semtex is broadcast on ABC Radio National as part of the Worldplay series. Christmas Bonus screens at West Side Shorts, Melbourne on 16 December. The Deaths Go On, a song about Aboriginal deaths in custody, sung by Kerry Fletcher, free to download from this site. The War on the Hill to be produced by Merrigong Theatre Company. Aphrodite's Tears commissioned by ABC Radio. Too Much Wrong now available to download from this site. This book describes the legal and forensic complexities of the Eddie Murray case can now be obtained by clicking the link below. Lines in the Sand is shortlisted for the 2008 Griffin Award. Eddie's Country is mentioned in Anita Heiss's new novel, Avoiding Mr Right. Concerto for Humans and Semtex to be published in the Australian Script Centre's Collection #7. Lines in the Sand enters the rehearsal room prior to Saturday night's rehearsed reading. Click below to see photos. Christmas Bonus now on You Tube. Lines in the Sand to have rehearsed reading at Illawarra Performing Arts Centre. Christmas Bonus wins Short Sited Film Festival. Christmas Bonus to screen at Short Sited Film Festival. Concerto for Humans and Semtex is being recorded by ABC Radio National. Click below to see a picture of the cast in the studio. Christmas Bonus, my annual short film, has been shot and is edited. I'm really happy with it. Merrigong Theatre Company has commissioned me to write a new one-act play as part of its Stories from Wollongong (Working Title) project. Lines in the Sand is selected for Stage One Development (dramaturgical consultation) with the Merrigong Theatre Company at Illawarra Performing Arts Centre. Concerto for Humans and Semtex development initiative begins next week at Illawarra Performing Arts Centre. A cooperative venture between ABC Radio and Merrigong Theatre Company, the play will be professionally workshopped by eight actors, a director, a dramaturg and composer. 'Later in the afternoon, the most amazing thing happened' to be screened as part of the 2007 Homebrewed International Film Festival. Page three Illawarra Mercury article describes the ongoing standoff between Simon Luckhurst and the producers of his 24-minute film, Lifelike, who are refusing to release it. ABC Radio to produce Concerto for Humans and Semtex as a four-part nationally broadcast radio play. It will also produce a one-hour version of the play for national and international broadcast. Eddie's Country is one of the shortlisted works pitched to film producers as part of this years Melbourne International Film Festival.